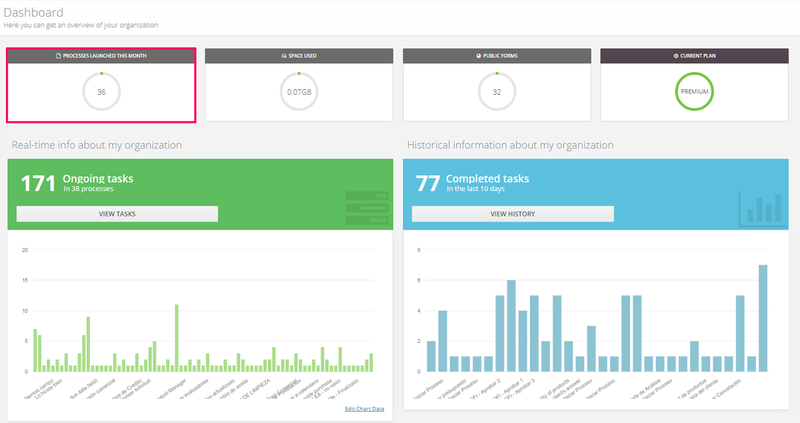 To find the number of process instances launched in this month, go to the Dashboard of your account and you&apos;ll see the information in the first box. In Flokzu we know that it is very important to do a follow up of each of your processes to assess opportunities for improvement. In order to achieve this goal, it is necessary to know exactly which are the processes that are moving forward faster and which are the ones that are undergoing important delays. To know exactly the number of instances launched by process in the current month, go to Historical data > By Process and then select the dates that are comprehended in the current month.